First, let me say how touched I am by the flood of emails I’ve been receiving from readers and other friends and family who read my post about Bella. Many of them have contained the most lovely pet prayers – some which had me in quite a puddle of tears – that I will share here in a blog post within a day or so. I am a little raw today and don’t want to go to the Bella place right now. But I thank you all so much. In a previous post, I promised to let you know when two sets of prayer bead prayers I compiled for Beliefnet.com were “live.” They went up today and I hope you will check them out. The first set is on the subjects of patience, strength and endurance. I compiled them for an Anglican rosary because that is what Beliefnet requested, but they could be adapted for the Catholic rosary by repeating a few prayers of your choice. The second set is on the subject of light. 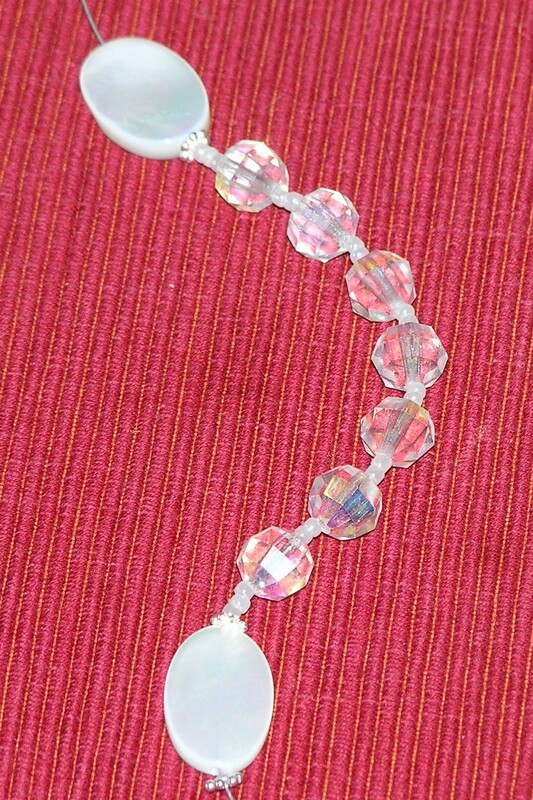 They are also for the Anglican rosary and are adaptable. 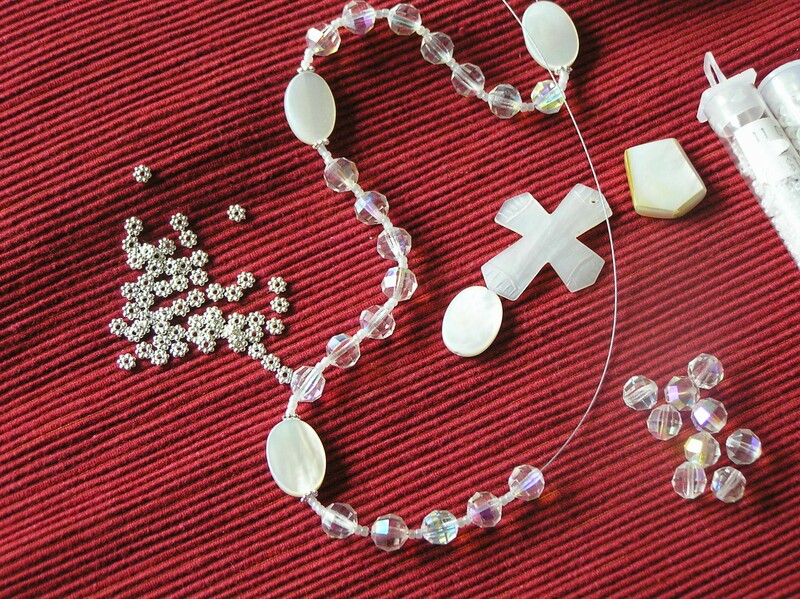 Soon I will have a “how-to” gallery on Beliefnet that will offer directions for making a simple Anglican rosary. I hope we are able to bring a lot more people into this ancient contemplative practice which is bringing me a good measure of comfort at this time. Happy New Year all! I am sorry for the long time, no blog. I have been down with flu this whole week and am now behind in work, housework and everything else. Ugh. “I make prayer beads that are sold in Baha’i bookstores and I send them in “Vahids” [groups of 19, as Baha’i prayer beads have 19 beads] rather than dozens, just to help establish the tradition. As to all [Baha’is] not using prayer beads – it is often that we haven’t established the habit of praying regularly. Baha’i is a gentle religion and we are not threatened with hellfire for not following our traditions. I am getting better as I grow older – hopefully a bit wiser. My knuckle counting friends tell me it is less distracting than beads. I see their point. 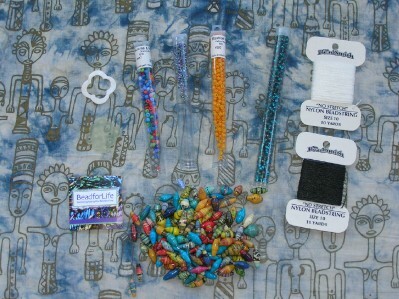 I have beads made of seeds and seashells and semiprecious sonte and I love to look at and handle them. “Prayer beads are a fascinating tool in that they are so similar in the various religions, just as the religions themselves are more similar than different. All religions promote prayer, marriage, spirituality, peace, etc. What differs is the culture in which it lives, so marriage ceremonies, for example, are different around the world, but marriage is the same. Repetitive prayer helps us relax and communicate with the inner, spiritual self. 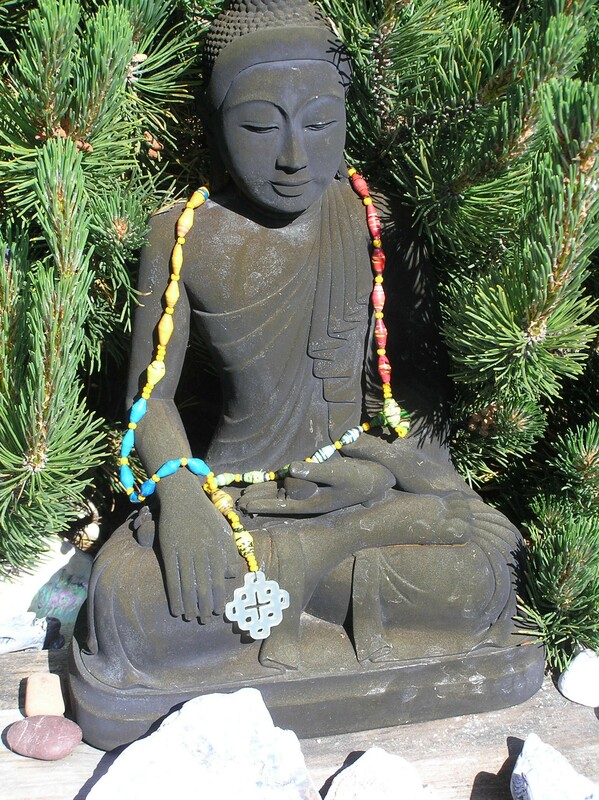 The idea behind prayer beads is minimize the need to count prayers, a left brained function, and move into the more spiritual right brain where one is more likely to be moved and inspired. 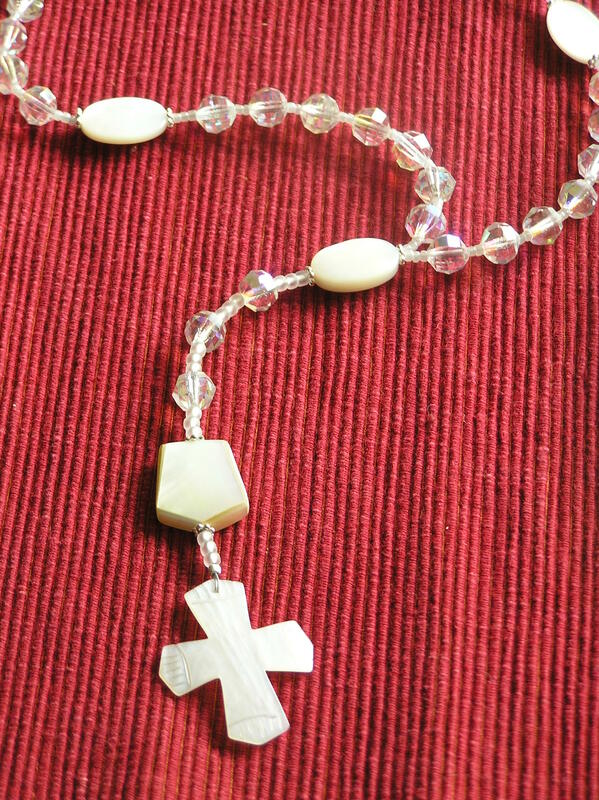 Catholic (the major Christian sect until the middle ages) has had many styles of prayer beads called c[h]aplets, but by far the most popular has become the rosary. Lore has it that St. Dominic was given the rosary by the Blessed Virgin in a vision. Rosary comes from the Latin for rose and suggests that one is in a spiritual rose garden when praying the rosary. Other apparitions of Mary, such as at Fatima, also reinforce the importance of the rosary. Baha’is, whose original culture comes out of the Moslem [Muslim] traditions also started out with 99 beads, but were soon given a set of 95 beads divided into five sets of nineteen beads each. Nineteen is the number of original believers named “Letters of the Living,” similar to Christian apostles. Nineteen of something, including these prayers is called a Vahid, named for the last member of the Letters of the Living. Baha’is recite the chant “Allah’u-Abha (God is Most Glorious) on each bead usually first thing in the morning. Interestingly, some Baha’is don’t need prayer beads. They find them distracting. Instead, they count on their knuckles and the tips of the fingers, adding up to nineteen. You asked about the differences between Baha’i prayers and the Catholic rosary. The rosary has different prayers, ten of this, one of that, etc. One must think about where one is in the scheme of the beads, but is does give a pleasant musical rhythm to the process. Baha’i prayers are the same chant on all the beads, this being a more calming and less thoughtful and rhythmic experience. Needless to say, neither is better than the other, just different. Thanks so much for this, Larry.If any of you live in Maine, you might go and see Larry present a talk on prayer beads this Sunday (MY BIRTHDAY!!!) for the Bahai’s of Eliot, Maine. BRRRRRR!!!! 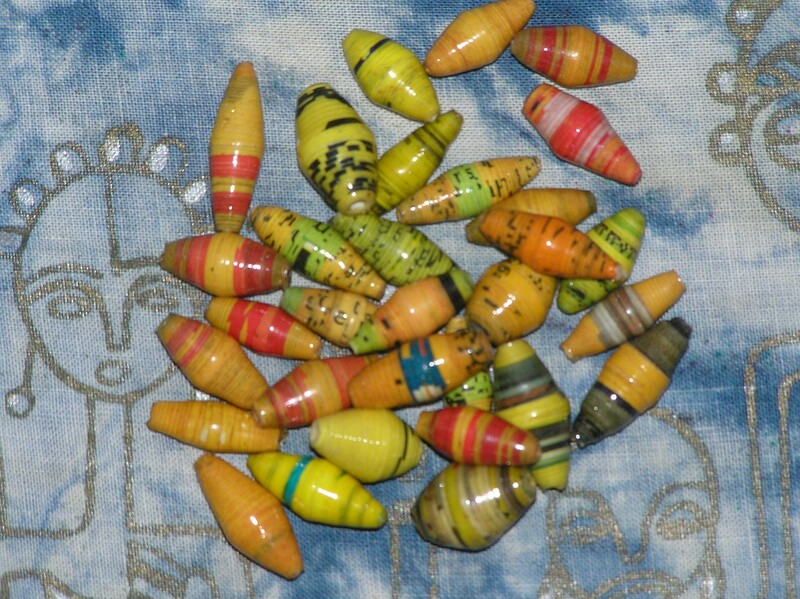 Anyone else out there have something to say about two different prayer bead traditions that they have personal experience with? How are they the same and different? How has your experience with one informed your experience of the other? Earlier this week, I was interviewed by my friend and colleague David Yonke, religion reporter for The Toledo Blade, about the book and prayer beads in general for an article he is very kindly writing pegged to the trunk show of my prayer beads at Bonita Bead Boutique in Maumee, Ohio. 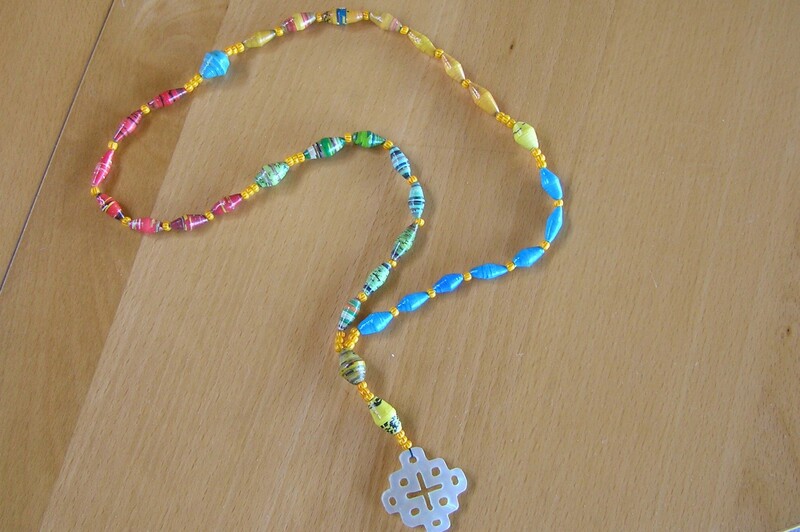 David mentioned that his paper ran a story on prayer beads in 2001 and that people in it were quoted as saying that young people were returning to both the Catholic rosary and the Muslim subha (“mesbaha” in the story) prayer beads in larger numbers. I asked him if he could share that article with me and he sent it along. Since The Blade has a pay-per-view policy, I am reprinting the whole article here. What do you think? Do you see young people in your faith using prayer beads more? If so, why or why not? Oh – and when the Blade article runs, I’ll post a link. practice, but as one of the riches of the Catholic tradition,” said Dr.
University of Dayton. “I think that’s where the appeal is for young people. meditative style of prayer, Dr. Tilley said. 11, 33, or 99 prayer beads, with greater frequency. Cherrefe Kadri, president of the Islamic Center of Greater Toledo council. majesty of God or a particular truth. that make up the devotion. a Glory Be, the person praying is to meditate on one of the mysteries. as passe. By the 1980s, they realized that the form of prayer was valuable. the mind, making it more receptive to meditation or contemplation. Antiochian Orthodox Church in Sylvania. they say five times a day. mystic, will use the mesbaha to recite the 99 attributes of God. 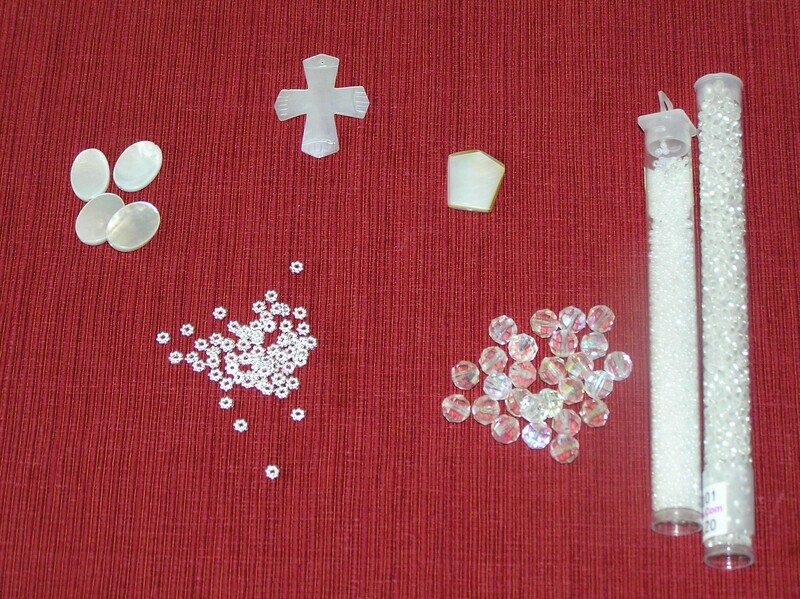 have divider beads to separate the groupings of 11.
them as they are visiting or talking.